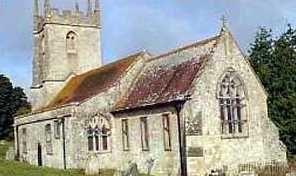 Sparks was filmed in and around the 700 year old St.Giles church in the isolated village of Imber on Salisbury Plain. Imber was was requisitioned by the War Office in late 1943. Villagers were forced to pack up and leave and the place literally vanished off the map. The villagers were promised that their village would be returned to them after the Second World War. It never happened and they remain in exile. Almost 60 years on, the pub, manor houses and cottages are little more than shells. The buildings that are still intact have concrete facades. Little is recognisable now except the ancient church of St. Giles. Until this year the church was visited once a year for a special service to commemorate the feast of St. Giles, but the vicar who is now responsible for the parish, of which Imber is a part, has now decided that the church takes up too much of his time and is too much of a financial burden, especially since it was hit by lightning a few years ago. 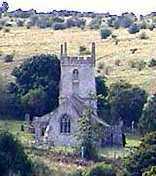 However, all may not be lost as a new group called 'The Friends of Imber Church' are setting about raising funds to restore the church. They also hope to secure increased access to the building during the year. Their first fundraising event of 2002 was a walk to the church on Easter Sunday. According to director, Tristan De Vere Cole, someone on the production team failed to request access to the village from the army for filming of this episode, despite the fact that it was known that this would be required. However, after a few frantic phonecalls the production began on schedule. Directions: This is undoubtedly the least accessible Survivors location being as it is slap bang in the middle of an army training zone. Stay at home!